outlive the computer platform on which they were generated. Open Format for Office Applications. 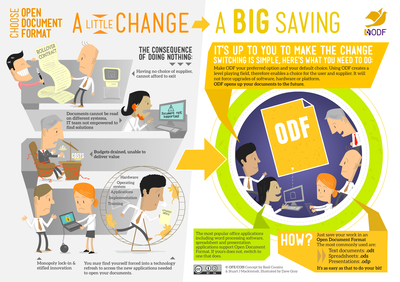 "How Microsoft was forced to open MS Office to support the ODF and PDF"
....allowing you to decide independently which software you prefer. the PDF technology is thus not owned by Adobe Systems. Democracy is threatened by closed and proprietary document formats! it is indespensable that the encoding of data is not tied to a single provider. "Microsoft Peruvian Open-Source Nightmare - The FUD isn't working"
document formats completely owned and controlled by ICT vendors. in the public sector and in the private industry. long-term archiving and preservation solutions. Learn about organizations that have already chosen to use open document standards! is compliant with the actual standard. Always verify with recognized tools! "The Home of the PDF Industry"
implementation of International Standards for PDF-based technology. than as a proprietary implementation. users who want to implement PDF technology in their organizations. expertise and shared experience for stakeholders worldwide. PDF Association is here to help. 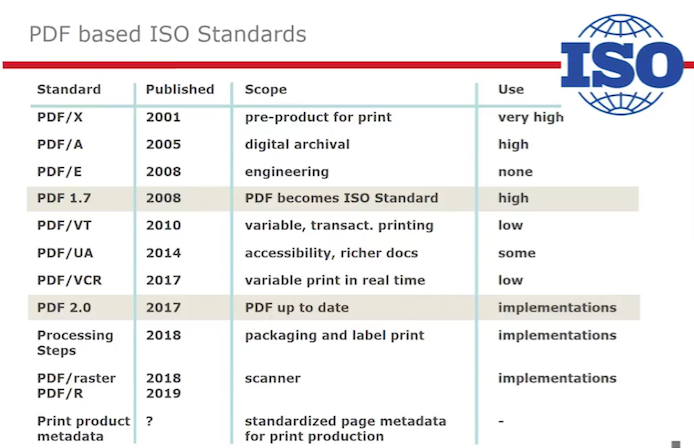 ISO standardized PDF technology around the world. reference materials, guidelines, regulations and laws. celebrates it’s 25th birthday on June 15, 2018. The world would simply not know what to do without it. First advertising video for Acrobat and PDF. 25 years ago this first video spot for Acrobat and PDF was produced. office communication with Acrobat and PDF. computer documents, including text formatting and inline images. hardware used to create them. with trillions made each year. Can a PDF easily comply to PDF/A, PDF/X and PDF/UA? for example both PDF/UA and PDF/A, both PDF/A and PDF/X. This PDF – what is it for? with support of the PDF industry. (Note! The term "definitive PDF/A validator"
navigate PDF documents and forms? with applications far beyond conveying rendered pages. is unique and critical to its success. writing, then paper, then PDF. These ideas are so basic that we don’t really have good words for them. Users think about the document’s contents, not the document itself. “it’s easy”, “it looks the same”, “it’s reliable”, and so on. as reflected in broad choice of software that creates and uses PDF files. but some, all, and none of the above. opportunities in every activity and industry sector. The one commonality; they do it with PDF. capturing these (documents) in time - for many millennia. and continually through the ages. for addressing the “any screen” challenge. 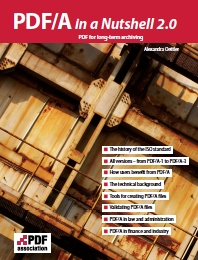 PDF is today the standard format used just about everywhere. HTML and CSS have obtained a similar position. print and web flow together in all kinds of interesting ways. with the strengths of both worlds, would be very exciting! such a technology project to develop extensions to PDF. user experience for each type of device and use case. PDF technology currently under development. to the flexibility of web technologies. 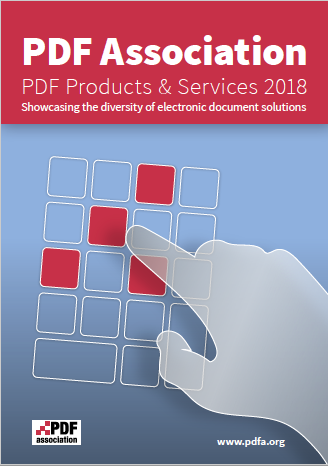 PDF technology at PDF Days Europe 2017. Pressrelease (Swedish): Project "Next-Generation PDF"
the goal of establishing a common interpretation of ISO 19005.
liaison functions (Liaison Working Groups/LWGs). the Portable Document Format (PDF). the richest and most robust document format. or the environment in which they are viewed or printed. for the applications end users actually use. foundation for many types of user applications. meets a fundamental customer need. that it will define the essential electronic document concept forever. 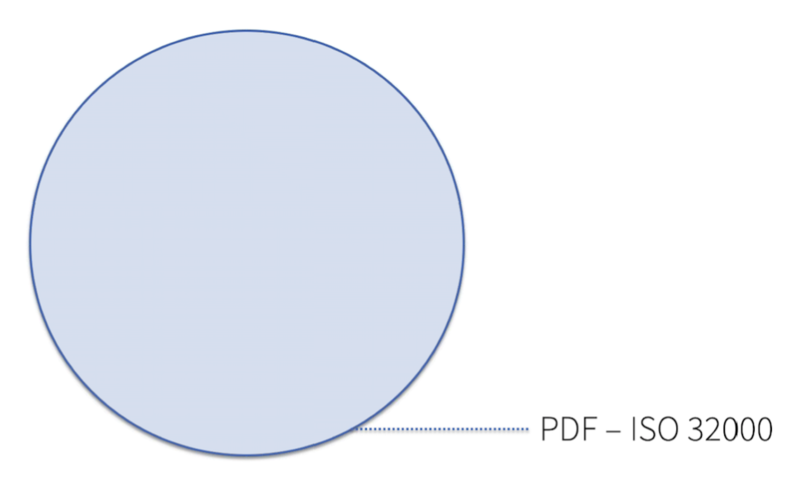 PDF - Have we passed ‘peak PDF’? indicating that the popular appetite for documents remains healthy. PDF-based documents continue to increase. that’s enabling them in some way that a web page isn’t. More than just a fancy way to paint a picture. Why do people still insist on PDF files? And why does PDF’s mindshare keep going up? PDF forms offer vital electronic forms functionality. PDF forms vs HTML forms. that HTML forms cannot match. 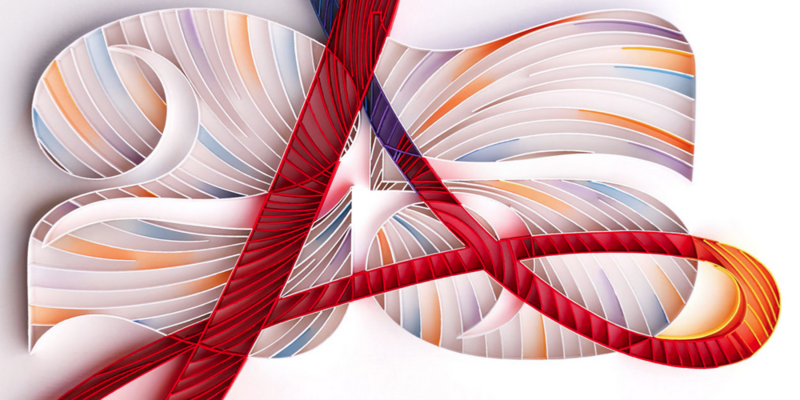 Bridging the page and the web, there's still nothing like PDF. Interest in PDF continues to climb. more implementations and more developers worldwide. 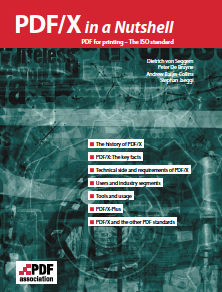 The first PDF 2.0 example files are now made available to the public. teaching tools for learning PDF file structure and syntax. so that Wikipedia features PDF on its “de facto standards” page. the modern computing stack consists of hundreds of standards. is the fact of standardization itself. with more and better features at a reduced cost. capable PDF technology solutions available. PDF 2.0 - What will it bring? smart phones and mobil devices with smaller screens. EPUB can’t do fixed layout and be accessible at the same time. (Word, Excel, CAD software, scanner, etc). which is not infrequently important to publishers. features that are native to PDF. which in itself is totally unacceptable for publishing. while offering the core functionality of TIFF. Redaction is the process of removing content from a document. Because he couldn’t figure out how to convert PDFs to Word files. released by the U.S. Department of Justice (DoJ) on April 18, 2019? A common portable container, PDF, to end the era of ECM vendor lock-in. ending the era of vendor lock-in. ECM Vendors don’t like that, but customers do. or risk unecessary costs, increased risks and missed opportunities. Not all PDF creation software is equal. Exclude software that’s dangerous to your documents. Use ECM/e-archive software that understands PDF. sensitive documents to 3rd parties or into the public domain. Be sure your search software can find all the information you need to remove. Just putting a black box on top of sensitive information does not "remove"
anything (e.g. the document is still leaking sensitive information). for long-term preservation/archiving of PDF documents. Ensures that digital documents can be reproduced in the future. storing or rendering the files. Attachments become additional PDF/A pages. a - accessible, b - basic. Attachments are converted to PDF/A and embedded in document. a - accessible, b - basic, u - unicode. Attachments in arbitrary formats - PDF/A and others - are allowed. Attachments as PDF/A and (in addition) embedded in original format. Will be PDF/A for PDF 2.0. Will be simpler, with no conformance levels. keeping public documents from state archives. - RA-FS 2009:2 technical requirements for electronic documents. the use of the file format: PDF/A-1. Do Complement Each Other Perfectly! Not all tools do create PDF/A compliant files suitable for storing in ECM systems. with which users can create PDFs and store them in ECM systems. But are the results of this always satisfactory? How you create files that comply with both PDF/A and PDF/X. What to do when RDBMS systems fail to memorialize transactions? matches the expectations of all the parties involved in the transaction. ISO 14289 (PDF/UA) for universally accessible PDF. for universally accessible PDF documents. assistive technology and PDF reading software. to be universally accessible for all. may be used in PDF/UA-compliant documents. rich access to a PDF’s content. Will be PDF/UA for PDF 2.0. Tagged PDF offers a lot more than access to users with disabilities. powerful options to make content "accessible for all"
thanks to reuse of page-based content. a properly rendered page irrespective of software or operating system. Pages, however, aren’t just for reading. - it began to mirror the interactive capabilities of real paper. others allowed users to draw lines and boxes onto the page. making it possible to add hyperlinks, audio and movies to PDF. deploy a PDF’s content outside the page-based world. final-form document to a mobile device. validation of both syntax and semantic. 47 failure conditions usually require human judgment. 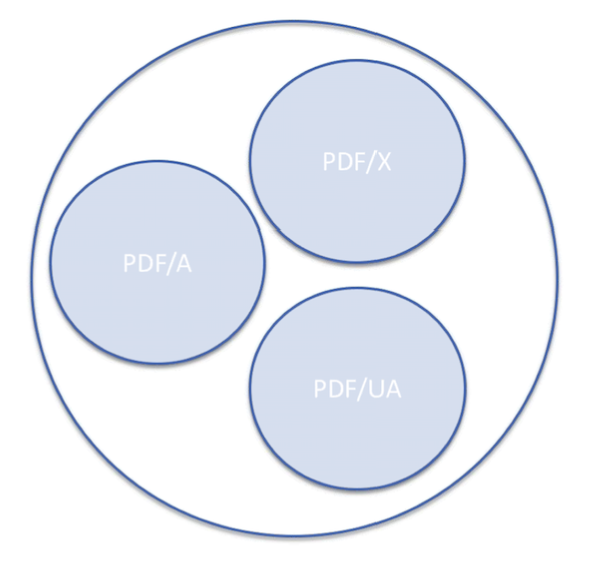 PDF/UA to simplifies the accessibility process. to package sets of tests together, streamlining the validation process. Why aren’t the PDF Techniques for WCAG 2.0 sufficient? to deliver PDF files in conformance with WCAG 2.0.
results between situations or implementations. to meet all applicable WCAG 2.0 Success Criteria. to modernize the W3C's PDF Techniques for Accessibility! and PDF/UA for electronic documents. regardless of file format or method of distribution. Section 508 applies to all ICT / all forms of digital communication. meets high standards for accessibility. PDF/UA-1 support is required for PDF creation software producing PDF 1.7 files. Access to digital information is a fundamental right for everyone. based on the EU Web Accessibility Directive. in making public sector documents universally accessible for all. state authorities as well as districts, cities and municipalities. 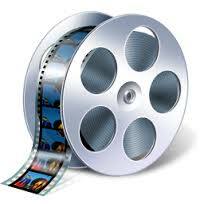 has established itself worldwide as the preferred file format. PDF files must meet certain requirements. These are defined in PDF/UA as the ISO standard for accessible PDF documents. capture and interactively use documents without outside help. PDF/UA from Google Docs is coming soon! and is usually derived from CAD files. in almost every engineering field. as well as developers of PLM applications. integral component of their day-to-day work. Lowers storage and exchange costs as compared to paper. across multiple applications and platforms. maintained by the PDF/E ISO committee. to provide an archival model for engineering content including 3D. instead of following a new standard PDF/E-2. making it a part of PDF/A-4 (Conformance level e). PDF/VT is based on PDF format to support variable data printing. Variable (“V”) and Transactional (“T”) workflows. advantages of PDF workflow to the world of personalized print. the various design features of the PDF/VT file format. "Best Practices for Print, Publishing & Packaging Workflows"
for the benefit of the profession worldwide. Create specifications and best practices. who need to use it in practice in the field. 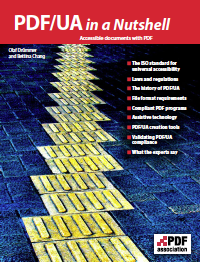 implementation of PDF/X standards for data exchange via GWG. for the current printing and publishing industries. Business value comes from always accessible enterprise information.